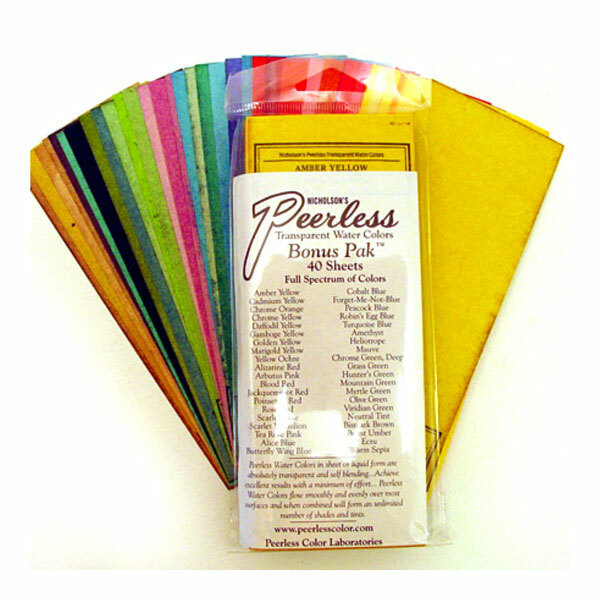 Large Bonus Pak of 40 colors by Peerless watercolor. 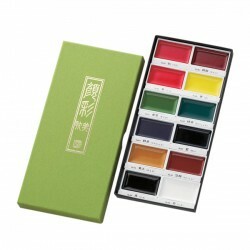 The 2″ x 6″ dry sheet, 40 color pak is on the same large dry sheets as the complete edition of 15 colors. This set of colors was developed in the 1970’s when the demand for more vibrant colors became too loud to ignore. 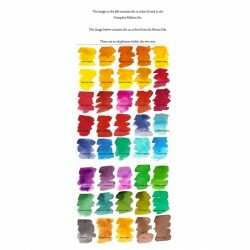 The 40 additional colors were packaged to supplement the Complete Edition of colors. There are no duplicates when combined with the complete edition of 15 colors. The 40 different colors are packaged together in a clear sleeve. 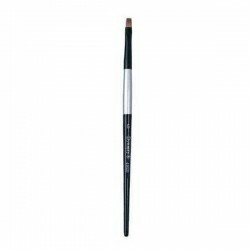 Each color is labeled on the back for easy identification. 2×6″ DrySheet Swatches.Complete Edition Set of 15 watercolors by Peerless Water Color. 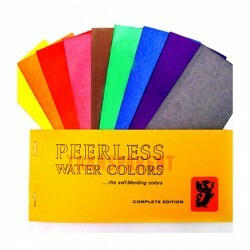 Peerless watercolors are unique watercolors. The pigment is on these dry sheets. 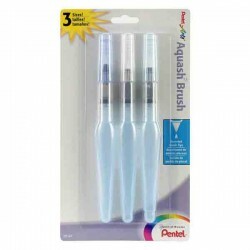 You just touch your wet brush to the paper and you get a vibrant and rich watercolor. You can look up the various ways people have organized the sheets to store and make them easy to use. There is a link below of Jennifer Macquire’s video. She always is very thorough and has many good suggestions about the storage, organization and use.